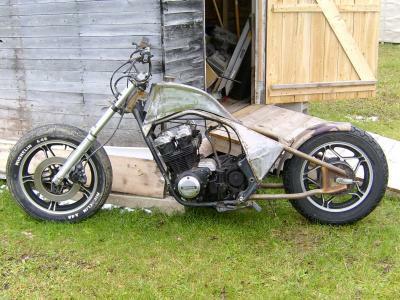 This is the second honda 650 work in progress. Did you chop the frame to rake it and what did the forks come off of?? ?